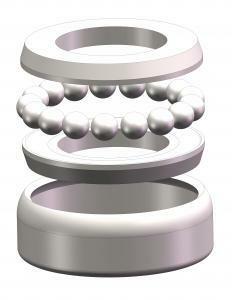 Schulz Stanztechnik manufacturers these axial ball bearings using the materials suited to the specific application. 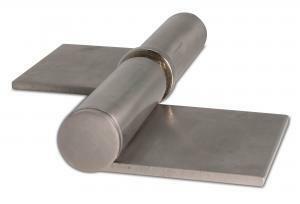 For the housing, steel, brass or stainless steel are used; for rings, steel or stainless steel which is always hardened. The balls are made of chrome or stainless steel, which is also always hardened. All material combinations – depending on their conditions of use – are possible for the assembly of the individual parts. Various surface coats for the individual parts can be supplied as well as finished bearings: brass which is uncoated or nickel plated; steel and stainless steel which is uncoated, zinc plated or nickel plated. 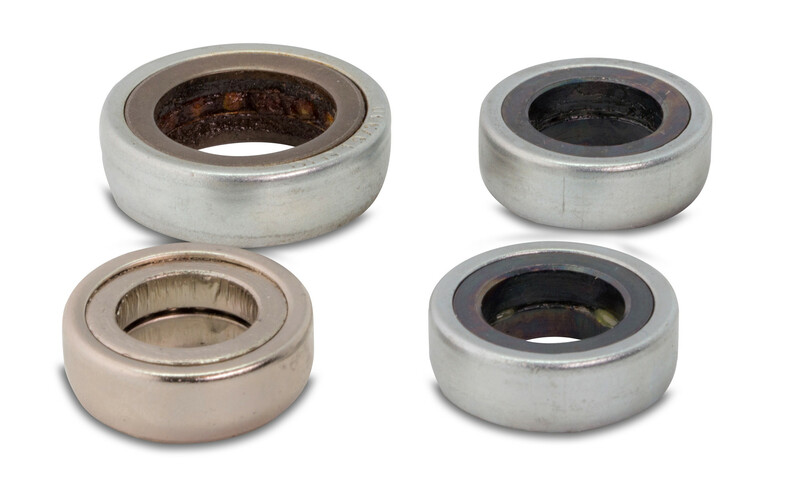 All bearings are available lubricated or unlubricated. All material combinations and surface coats are possible for the individual parts. All combinations can also be implemented during assembly. Schulz Stanztechnik supplies these axial ball bearings for various applications ex works in many different standard dimensions. Bearings with special dimensions or made from other materials – as well as surface coats – are available on request. 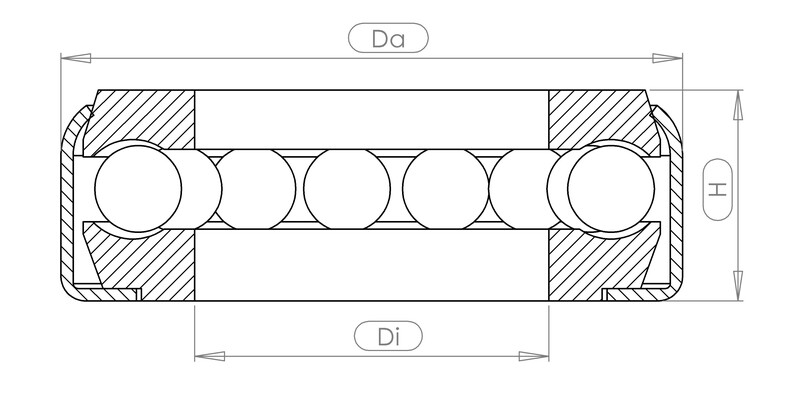 The different axial ball bearings have been designed for varying loads. 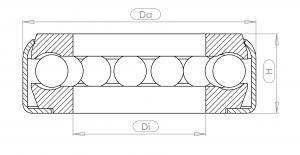 DLG100 axial ball bearings consist of sheet metal housing, two hardened rings as well as hardened precision balls. 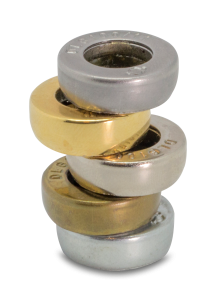 Due to their structure, we refer to them as an encapsulated, full ball design. In the case of standard bearings, the housing and a ring form the contact surfaces. 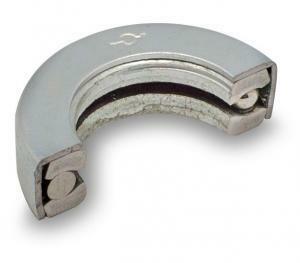 In the case of special bearings, the contact surfaces are formed by both rings. The bearings are available both lubricated and unlubricated. 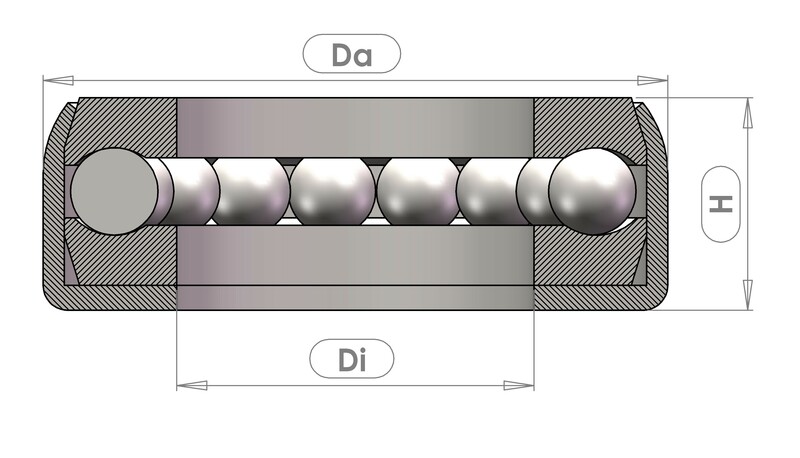 If slow rotational or longitudinal movements should be easy despite high loads, ball bearings – which are generally invisible to the user – are always used. 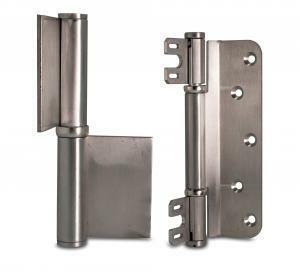 For hinges or drawers, doors and gates, blinds or vehicle seats. Ball bearings facilitate movement and reduce friction and wear, thus increasing the quality of the product. 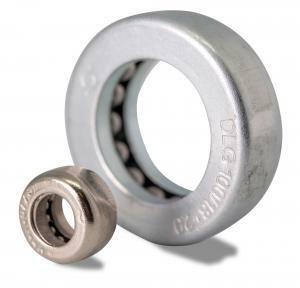 Ease of movement with ball bearings lend many products a significant competitive advantage. Schulz Stanztechnik supplies many manufacturers with the exact axial ball bearings they require. The rolling properties in extreme conditions – such as dirty and wet environments – are particularly good. Due to their tolerances, they can also be used where installation is difficult. Axial ball bearings can be used in temperatures from -30°C to 140°C.